Consumers have become very conscious of their buying habits, particularly in terms of origin and impact, as they understand the importance. These factors can mean the difference between a high-quality, safety-conscious product and a cheap knock-off that may fail in the field. Beyond quality control, buying a domestic product also means supporting fellow Americans—it means we’re in this together, ensuring an American standard of manufacturing and business, while creating and maintaining a way of life for our neighbors. It’s easy to get lost in the little things—our commute to work or the thought of your second shift of house work when you come home from the 9 to 5. We must continue to be aware of our impact, however and, if for no other reason than our consumers caring about these issues, it is the responsibility of manufacturers to remain consciously aware of the factors that matter to their bottom line. Consumers have agreed. More so than ever before, they demand a product line that is made in the best interest of our global and domestic sustainability. They want safe, environmentally-friendly products and they want their manufacturers to want that, too. 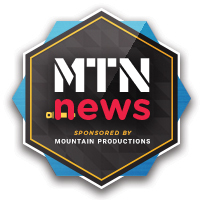 It is with this call from consumers in mind that Mountain Productions has made the pledge to manufacture the MTN BOX® road cases in the United States and from 90 percent recycled material. 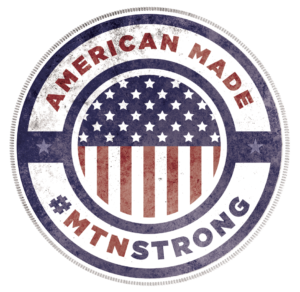 We took the time to make our products #MTNStrong, without sacrificing our domestic and environmental concerns and we make no compromises in delivering a product our consumers can be proud to claim. We’ll continue this pledge—not because it is the popular choice, but because it is the right choice. We welcome all manufacturers to do the same.